Earth is in crisis, but there is much we can and should do. How can we work with nature to heal the wounds we’ve inflicted? A handful of leading-edge thinkers will be presenting their solutions at a public forum. All speakers have been involved in research and practices that contribute to the reversal of greenhouse gas emissions through natural agricultural approaches and tree-planting to restore land, and from environmental activists who see the need to encourage any and all methods to draw down existing carbon that will complement the technological methods of preventing future emissions. This event will honour Michael Purves-Smith, who initiated the project, but did not live to see it take place. 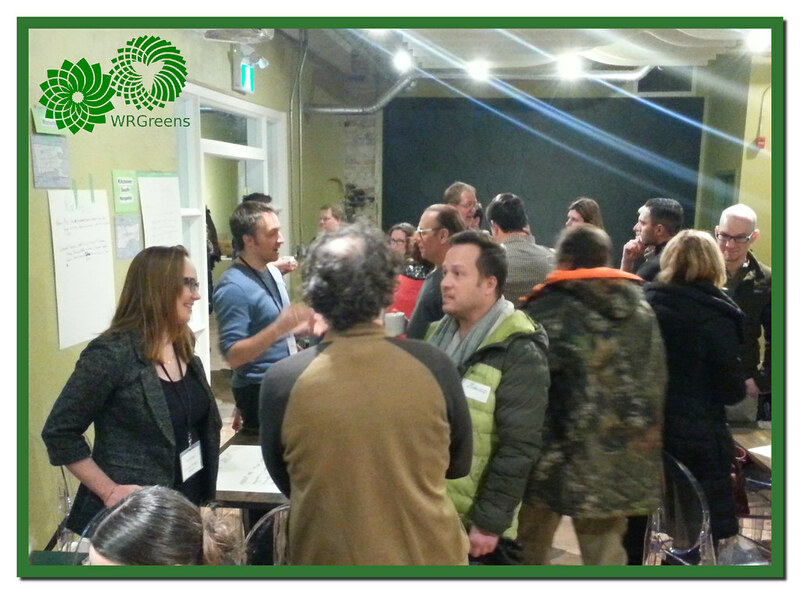 Michael’s goal was to raise awareness in Waterloo Region of the urgency for a holistic solution to the crisis of the biosphere. This event is being brought to you by Shannon Purves-Smith with support from the Grand River Environmental Network. Mike will host a round-table discussion with Waterloo Region leaders and influencers to discuss the path they want Ontario take. This inclusive meeting is open to everyone! Light snacks and refreshments will be served. 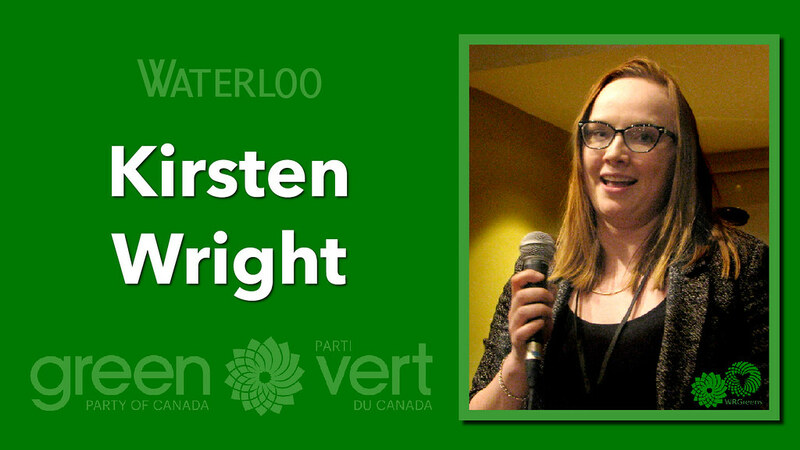 Green Party of Ontario leader Mike Schreiner is visiting Waterloo Region as part of his spring leader’s tour. 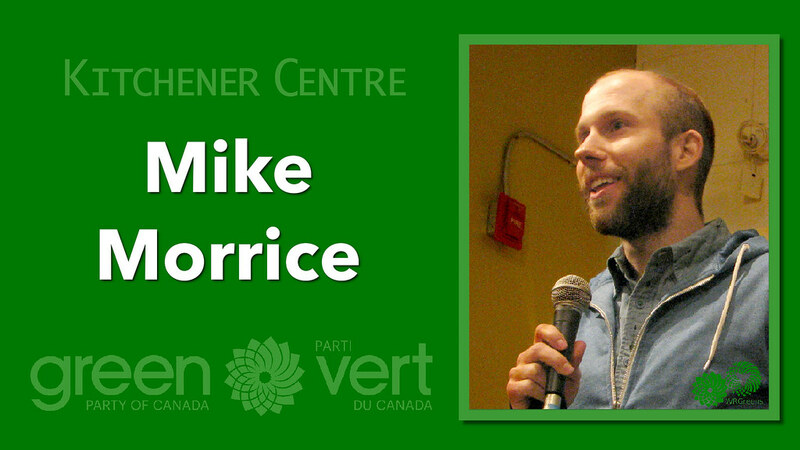 Come meet Mike, hang out with your fellow Greens, share your thoughts, and discuss the local issues that matter to you. The meet-and-greet will end with a no-holds-barred live interview about beer regulation hosted by local comedian Michael Masurkevitch of We Are Millennials. Pick up your supplies from the City Green Booth nearest you and do your clean up when it’s convenient for you. Would “developing” countries be better or worse off without free trade? What benefits has NAFTA brought to Canadian workers? Learn and discuss questions like these with our international trade learning community. Join us for some beer and casual conversation about this thorny topic. * The event is free, purchase of beer is not neccessary, and the space is wheelchair accessible. No food available for purchase but feel free to bring your own. If you have any questions, please email the organizer, Julia Gogoleva, at julia.gogoleva@gmail.com. Divest Waterloo/CIGI to host an evening with Jeff Rubin, a world-leading energy expert and former chief economist at CIBC World Markets. As a senior fellow CIGI, Jeff has written extensively on the future of the Canadian oil sands and the financial imperative to shift our economy away from fossil fuel dependence. Jeff will be speaking at CIGI to address pension fund managers, members of the finance and insurance industries, and the general public about the financial case for divesting from fuels. #KeepYourPromise Tour: Debate or Discourse? 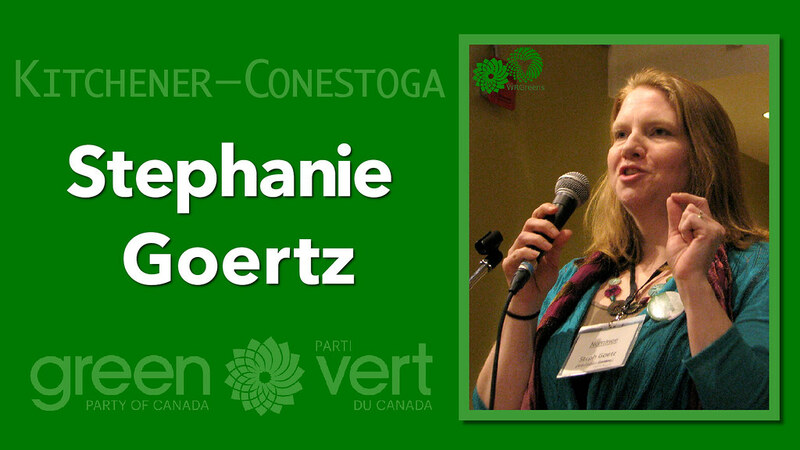 We Greens know better than anyone just why we need electoral reform. But we also know how important it is to work across party lines. And this is one of those times. This is the last full week for the five By-elections. Perhaps the strongest message Canadians can send the Trudeau Government ~ especially the many Canadian Liberals waiting for the promised electoral reform ~ would be to keep the Liberal By-election candidates in contested ridings from going to Ottawa. While such tactical voting wouldn’t topple the Liberal majority, when the dust settles Mr. Trudeau and his Caucus would know just how serious Canadians ~ including the Liberals who gave them their majority ~ are about Proportional Representation. Unfortunately we do know how hard it is to make our wishes known at the ballot box with our inequitable winner-take-all system, so we can’t count on achieving that goal. Which is why we need to help keep the pressure up any way we can. 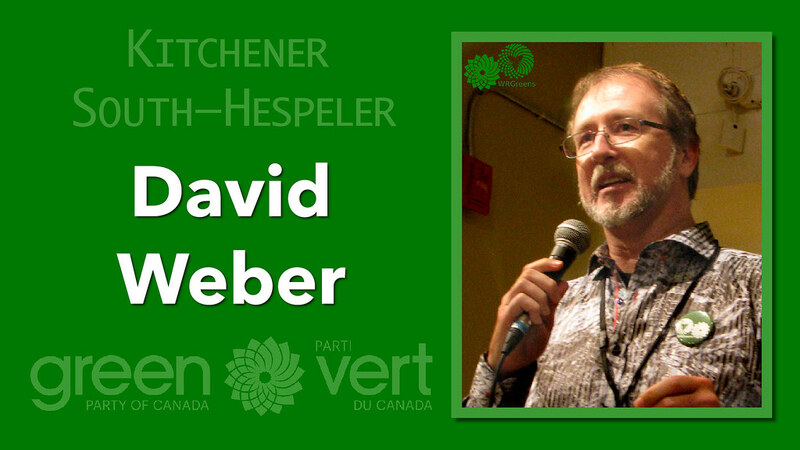 That’s why Waterloo Region Greens are encouraged to come out to the Kitchener Public Library to catch the Waterloo Region visit of Elizabeth May’s #ERRE colleague Nathan Cullen. The ERRE Committee’s NDP Co-Chair is crossing Canada to visit Liberal ridings to demonstrate how much support there actually is for electoral reform with his #KeepYourPromise Tour. For this Waterloo Region event, Mr. Cullen has invited Kitchener—Centre Liberal MP Raj Saini to join him for discussion or debate. We know Mr. Saini did an excellent job explaining the virtues of Proportional Representation (and outlining the process the Liberal Party would undertake to make it happen) at the #KitCen Electoral Reform debate held by Fair Vote Waterloo during the election. Perhaps Mr. Saini can explain what went wrong, or why the Liberal Party failed to support the Electoral Reform promise as he assured us he would, or even why he’s changed his tune now that his party has its own phony majority. Will MP Raj Saini be brave enough to face his constituents on this? Last First Past The Post promise (and repeated it in the Throne Speech, then launched the Electoral Reform Consultation) in the first place was because there is a lot of Liberal support for Proportional Representation. Back in December of 2015, the majority of sitting LPC MPs voted with the NDP to adopt Proportional Representation. Enough for Stéphane Dion to design his own Proportional system. And, as Bardish Chagger told Waterloo voters during her Electoral Reform Debate in Waterloo, there was overwhelming support for the electoral reform policy resolution that Mr. Trudeau’s electoral reform promise was based on. So please, bring along your Liberal friends too! “There’s one last vote on electoral reform in Parliament before the May deadline. After that, it could be too late to set up a new voting system in time for the next election. This spring, MPs will vote on whether to accept the recommendations of the Canada-wide consultation tour, including that the government hold a referendum where Canadians can choose between the current voting system and a proportional one. Send your friends and family in other parts of Canada to the NDP website [http://keepyourpromise.ndp.ca/] to learn when the Broken Promise Tour will be coming their way! Help convince Liberal MPs to keep their promise and vote YES to electoral reform before the May vote. Three Ways to Help Canada win this vote! #1 Bring your family and friends ~ no matter what their politics are ~ along to hear what Nathan Cullen has to say. #2 Circulate the Petition and ask your family, friends and neighbours to sign on. Go door to door, or spend an hour or two with your clipboard outside City Hall, your grocery store, Speakers Corner etc. Petition calling on the Government of Canada to keep its promise of electoral reform. Fair Vote Canada’s “Keep Your Promise” postcard, and our Waterloo Region Chapter’s postcard for Kitchener Centre MP Raj Saini quoting his own words from the 2015 Election campaign. Electoral reform is not dead, the movement is growing. Because every vote should count. Photo Credit: Nathan Cullen portrait by Jonathan Allard released under a Creative Commons Attribution ShareAlike License. This Changes Everything ~ Free Screening! Gordon Laxer is coming to KW to give a public lecture on his new book, After the Sands: Energy and Ecological Security for Canadians. Impeccably researched, After the Sands is critical reading for anyone concerned about rising sea levels, pipeline and tanker spills, climate change chaos and Canada’s future in a carbon restricted world. The talk will be followed by responses from the community to relate Laxer’s work to local struggles and opportunities. The event is free and open to the public—everyone is welcome! 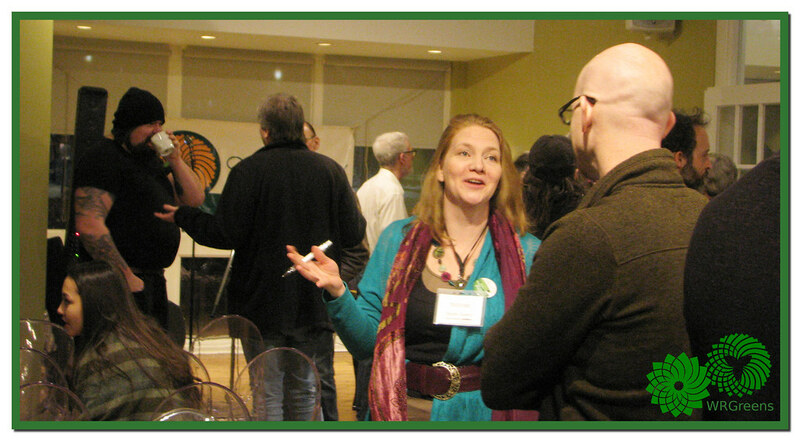 This event is hosted by the Department of Political Science with support from numerous campus and community groups including the Kitchener Public Library, the Waterloo Aboriginal Education Centre, the School of Environment, Resources and Sustainability, the Balsillie School of International Affairs, Sustainable Campus Initiative, Waterloo Political Economy Group (WatPEG), Waterloo Public Interest Research Group (WPIRG),ClimateActionWR, the Council of Canadians (Guelph and Centre Wellington Chapters), Divest Waterloo, and KAIROS. Wordsworth Books and Hacienda Coffee folks will be on hand with books for sale and treats to share! BREAKING: Gordon Laxer was just named as a finalist for the John W. Dafoe Book Prize for non-fiction stories on Canada.